Many people, myself included, procrastinate making New Years Eve plans until you can procrastinate no longer. If you’re still looking for a few ideas to celebrate New Year’s Eve tonight, here’s a quick list of events happening you may want to be a part of. 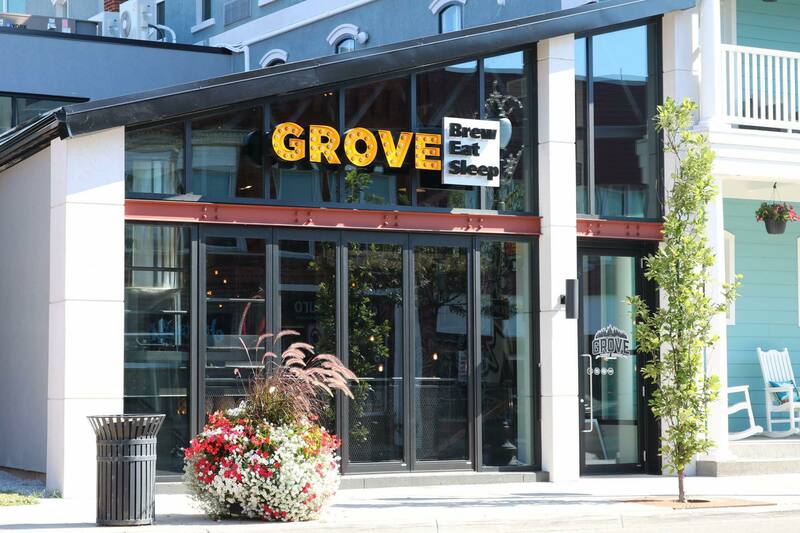 The Grove Brew House is offering up a special 4-course menu for NYE. There are several yummy options to choose from like a NY strip, Wagyu burger, sweet potato gnocchi and more. Check out the full menu here. Mi Casita is celebrating the evening with a set menu that includes chicken flautas, their amazing pupusas, carne asada, yuca con chicharron, camarones a la flancha, deep fried ice cream. Tickets start at $60 and you’ll need a reservation. You can add a Fiesta Pass for an additional $10 which includes music, dancing and midnight Tequila toast. Limited seatings are available so make sure to call them ASAP! For those of us with small children, we all know making it to the ball drop at midnight is highly unlikely. Adventure Bay has a 2 for 1 special today from 10am to 4pm, Visitors can pay one regular admission to receive a second admission of equal or lesser value free. Here’s another early evening option for families. The City of Windsor is offering free skating, swimming and fun activities at the WFCU Centre from 7pm – 9pm followed by fireworks at 9:30pm. Caesars Windsor is inviting you to ring in the new year. The Cosmos Lounge is offering up live music and a high-energy DJ will be playing sets throughout the night on stage. The event is open to the public, over 19 years of age. The count down to 2019 starts at 6:00 pm. If you haven’t heard of Spiritual Soldiers, you will. This group has been raising awareness about addicition in our community and this past year they opened the doors to a new coffee shop and sober bar on Erie Street. Their first New Years Eve gala is tonite. Doors open at 9:00pm with a live DJ and appetizers provided by the compound. A $10.00 donation at the door will be going to the House of Sophrosyne. And of course, don’t forget to make those reservations at your favourite restaurants! We wish you the happiest of new years. Please be safe and responsible out there!